Debate continues to rage over whether the Obama administration should approve TransCanada Corporation’s contentious Keystone XL pipeline. 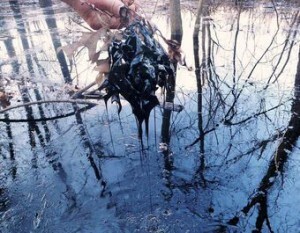 Meanwhile, little attention has focused on the impact of tar sands oil spills in far-flung states. Two accidents, in Arkansas and Michigan, raise largely unaddressed questions about the true cost to human health and the environment—and the high cost and difficulty of cleanup. But there are other issues as well, ranging from the political and economic impact to the behavior of the corporations involved to the very nature of the substance itself. 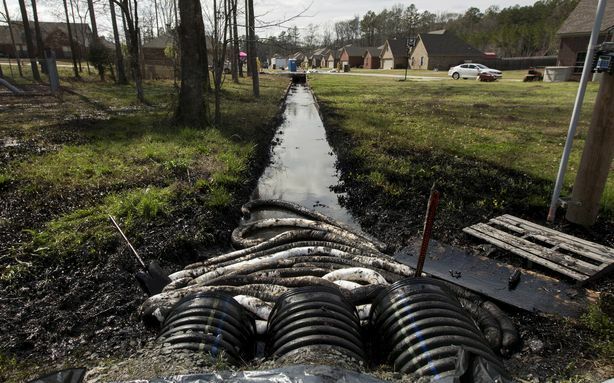 The more recent of these disasters came on March 29, when a 22-foot gash opened in ExxonMobil’s 65-year-old Pegasus pipeline. 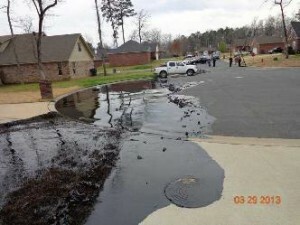 It dumped some 210,000 gallons of tar sands oil into the streets of Mayflower, Arkansas, and into nearby Lake Conway. More than six months after that lake of viscous tar sands crude engulfed a subdivision, many homes—both within the core spill area and at the periphery—stand deserted. Among the few inhabitants who remain are those too old or too poor to leave, while many others simply have no place else to go. The streets are dotted with For Sale signs that beckon no buyers. Many people are ill, suffering from respiratory problems, chronic headaches, debilitating fatigue and other complaints. Environmental scientist Wilma Subra says the symptoms are consistent with known effects from exposure to petroleum products—and to the volatile chemicals used to dilute the gummy Canadian oil so it can flow through a pipeline. While cleanup continues, the legal battles have just begun. Among them are class action and civil suits, plus a lawsuit filed by the US Justice Department and the state of Arkansas for alleged violations of state and federal environmental laws, including the Clean Air and Clean Water Acts. For weeks after the spill ExxonMobil withheld crucial information about the nature of their product from state and local officials. The oil giant insisted it was conventional crude—which is cheaper and easier to clean up—while downplaying the amount and extent of contamination. Early on, company officials claimed that nearby Lake Conway was oil-free—though internal emails showed that they knew otherwise. Far to the north, 40 miles of Michigan’s Kalamazoo River shimmer with a slick rainbow sheen. It’s the toxic legacy of the largest, most expensive onshore oil spill in US history. On July 26th, 2010, Enbridge Energy’s “Line B” pipeline ruptured, belching over a million gallons of tar sands oil into a field near Marshall, Michigan. Some of that flowed into nearby Talmadge Creek and on into the Kalamazoo—sites of previous industrial dumping and heroic cleanup efforts. 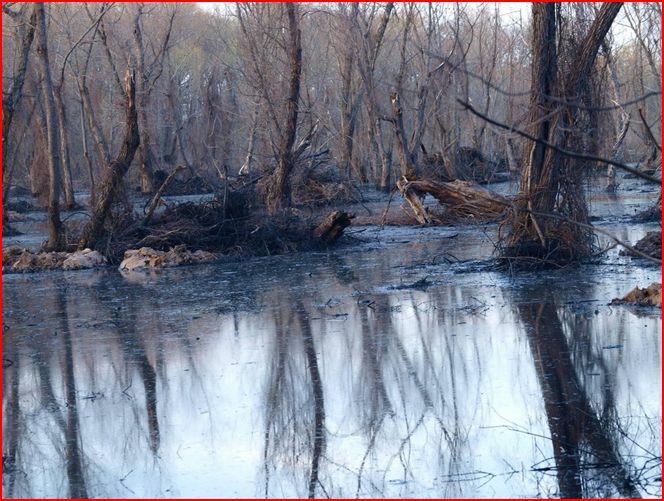 Three years later, so much heavy Canadian crude still coats parts of the river bottom that last March, the the U.S. Environmental Protection Agency (EPA) ordered Enbridge to resume dredging the river. The agency estimates that perhaps 180,000 gallons remain submerged, “plus or minus 100,000 gallons.” Federal fines of $3.7 million pale beside actual cleanup costs, which now exceed a billion dollars. 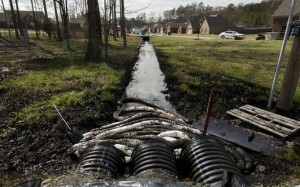 Enbridge contends it spilled a mere 843,000 gallons—although EPA evidence shows far more. 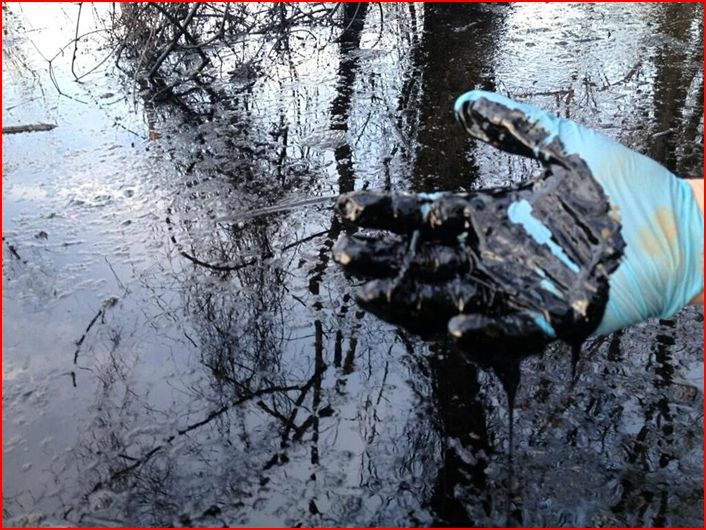 The company waited a week to disclose that the spill was not ordinary oil, but instead thick tar sands oil. Some 320 people have reported health problems, and litigation is ongoing in a host of lawsuits. Even these accidents, however awful the consequences for local residents, fail to paint a picture of the potential for catastrophe in the Keystone XL Pipeline project. If completed, this pipeline would funnel nearly 35 million gallons of Canadian tar sands oil—a day—from Alberta to Texas Gulf Coast refineries. Along that 1,179-mile route, the line would cross six states in America’s heartland, and traverse the Ogallala Aquifer that provides drinking water for two million people. Though the location of oil and gas pipelines is public information, neither TransCanada nor the State Department has revealed Keystone XL’s exact route. But the general path is clear. Keystone will cross a remarkable 1,748 bodies of water in all, including the Yellowstone and Missouri Rivers. In an accident, numerous toxic chemicals would be released, including benzene, a known human carcinogen. One at-risk ecosystem, Nebraska’s fragile Sandhills region, lies along the Keystone route, with ancient dunes so permeable that nearly 100 percent of rainfall enters the shallow Ogallala Aquifer. This means that a relatively minor spill can have major consequences. Tar sands oil is the worst type of oil for the climate, producing three times the greenhouse gas emissions of conventionally produced oil because of the energy required to extract and process tar sands oil. . . increased greenhouse gas emissions associated with tar sands development is the main reason Canada will not meet its Kyoto reduction commitments. Tar sands oil should not be confused with conventional crude. 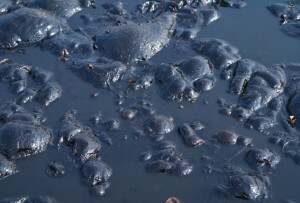 Alberta’s oil is a gelatinous mix of tarry petroleum and sand, known as diluted bitumen or “dilbit.” It’s often likened to asphalt: it is so thick and gooey that it won’t flow through a pipeline on its own. For transport, it’s thinned with liquefied natural gas and a range of chemicals, some of which are extremely toxic. Legally, bitumen is not even considered oil. In 2011, the Internal Revenue Service (IRS) ruled that “the term ‘crude oil’ does not include “synthetic petroleum.” That distinction exempts Enbridge, ExxonMobil, TransCanada and other companies that transport tar sands crude from paying the 8-cents-per-barrel petroleum excise tax. Thus, the companies shipping a substance that’s more toxic and harder to clean up than standard petroleum products do not even have to pay into the Oil Spill Liability Trust Fund, which was created by Congress in 1986 and enacted four years later in response to the Exxon Valdez disaster. Cleanup of the massive Deepwater Horizon oil spill and a host of smaller accidents drained the fund to risky levels, according to a Government Accountability Office report. As of March 2011, the fund had shelled out $629.5 million for Deepwater. Liability for oil companies caps at $350 million; the fund covers the rest, up to a billion dollars per incident. But tar sands oil gets a free ride, with transport companies putting nothing aside to help pay for pipeline breaks or other accidents. Indeed, keeping the exemption in place through 2017 would mean $409 million in lost revenue. With skyrocketing dilbit imports from Canada, it’s no small concern. 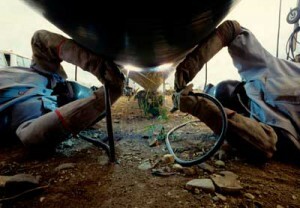 The 220,000 barrels (42 gallons each) imported per day in 2000 jumped to over 650,000 barrels in 2011. Producers hope to top 1.5 million barrels in the next six years, according to Canada’s National Energy Board. 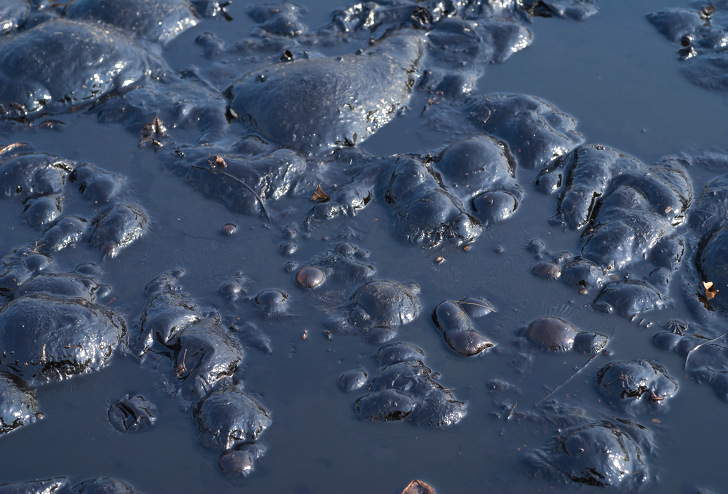 A series of major spills could bankrupt the fund—leaving taxpayers with a massive cleanup bill. TransCanada’s environmental assessment estimated that Keystone XL will discharge 11 “significant” spills of 2,100 gallons or more in the US over its 50-year lifespan. An independent analysis by Dr. John Stansbury, an engineer and professor at the University of Nebraska, presents a far more alarming scenario: up to 91 serious spills over that same period. His study includes key data omitted by TransCanada. 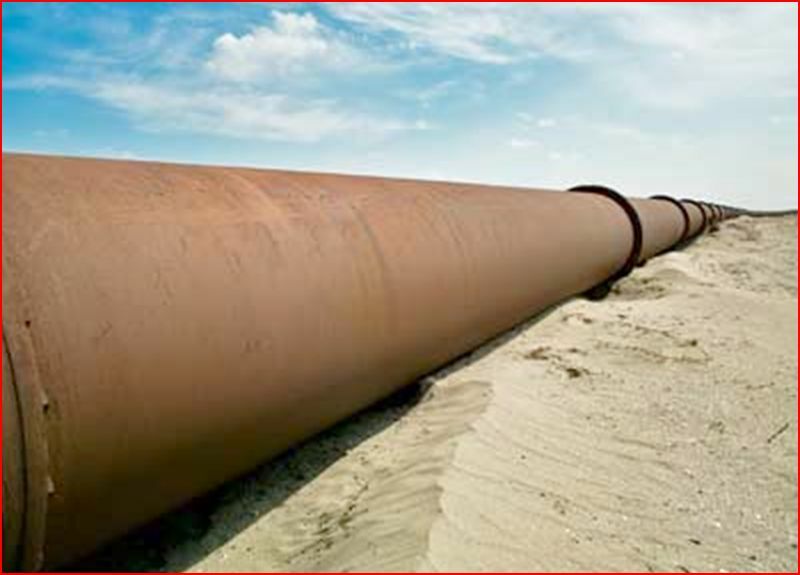 Pipelines break for many reasons, from advancing age and weak welds to natural disasters and construction accidents. But transporting heavy, toxic dilbit further increases stress on pipelines, according to a recent Cornell University study. It’s 15 to 20 times more acidic than conventional heavy crude, with five to 10 times more sulfur. Because it’s so thick, it’s often pumped at higher temperatures and pressures than other petroleum products. Its varying composition and consistency bring large, frequent swings in pressure that can create new cracks or widen existing ones—a factor that may have played a role in ExxonMobil’s Arkansas break. And that was no isolated case. From 2007 to 2010, dilbit pipelines in the northern Midwest dumped three times more oil per mile than the national average for conventional crude. 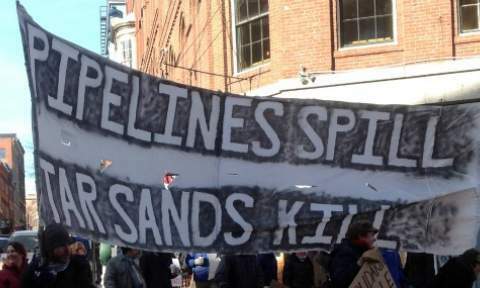 Since the Keystone’s Phase 1 pipeline opened in June 2010, there have been at least 35 incidents. It pumps dilbit from Alberta to refineries in Illinois, a line that breezed through the permitting process during the Bush Administration, with little public awareness. The string of accidents prompted pipeline safety regulators to subsequently deem Keystone 1 a hazard to “life, property, and the environment”—and issue a “Corrective Action Order” to address multiple problems. In a recent speech to oil and gas pipeline compliance officers, PHMSA associate administrator Jeffrey Wiese admitted that the regulatory process he oversees is “kind of dying” and that his office has “very few tools to work with” in enforcing safety rules. “Do I think I can hurt a major international corporation with a $2 million civil penalty? No,” he said. Before they failed, both the Mayflower and Marshall lines were known to have developed cracks. The defect that caused the six-and-a-half-foot hole in Enbridge’s Line 6B was noticed at least three times, but both regulators and the company ignored it. 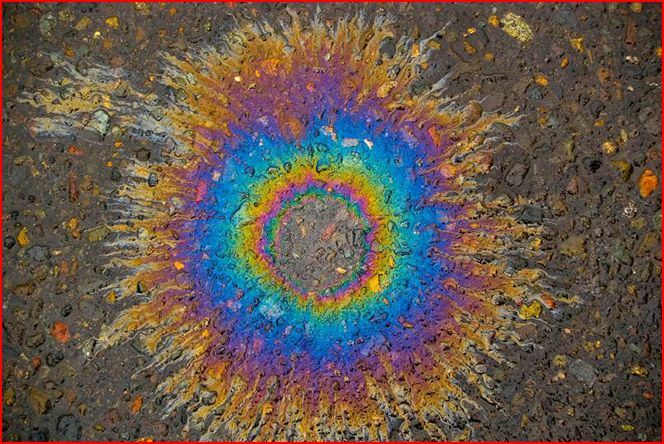 Likewise, ExxonMobil Pipeline Co. inspected the section of Pegasus that later burst in 2010 and again in early 2013. But again, nothing was done. Despite numerous alarms it took operators in Michigan nearly 12 hours to shut down the 30-inch wide pipeline. Another six hours passed before they located the spill site. The transportation safety board also cited weak federal regulation and oversight of emergency procedures, and poor assessment and repairs of pipeline health. While TransCanada awaits a decision on Keystone XL, it’s unclear whether Exxon’s 858-mile Pegasus pipeline will reopen. The company hasn’t made public its plans for the line, which will require written permission from PHMSA to restart. Analysts conjecture that Pegasus may be in such poor shape that it will need significant repair—or that Exxon may be weighing construction of a new, larger replacement. 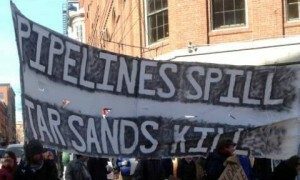 But other lines will soon be shipping tar sands products to the Gulf for refining and export. 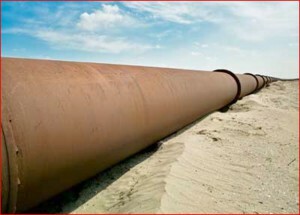 Enbridge plans to expand its Alberta Clipper pipeline from Canada to Wisconsin, which would carry up to 880,000 barrels a day, more than Keystone’s planned 830,000-barrel capacity. The company’s 774-mile Trunkline is scheduled to go into operation in 2015, using converted gas lines that run from Patoka, IL, to St. James, LA. 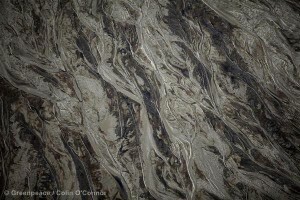 There is concern that these lines, which have been in the ground for years, were not built to current standards and may not be able to withstand the heavier load of tar sands oil. But these conversions are subject to fewer regulations and generally win swift approval. The safety issue clearly gets short shrift. PHMSA, the entity charged with oversight, has been understaffed by an average of 24 employees each year between 2001 and 2009. And last year, it had funding for just 137 inspectors in total. That’s nowhere near enough to police the industry. As a result, regulators are forced to essentially leave safety evaluations up to the companies–even allowing them to plan their own future pipeline routes. The two assessments submitted for Keystone XL were prepared with blatant conflicts of interest: one by a former client of TransCanada, and the second by a member of the American Petroleum Institute, the oil and gas industry’s largest U.S trade association. The EPA commented that the documents lacked needed information on water protection and an improved emergency response plan. 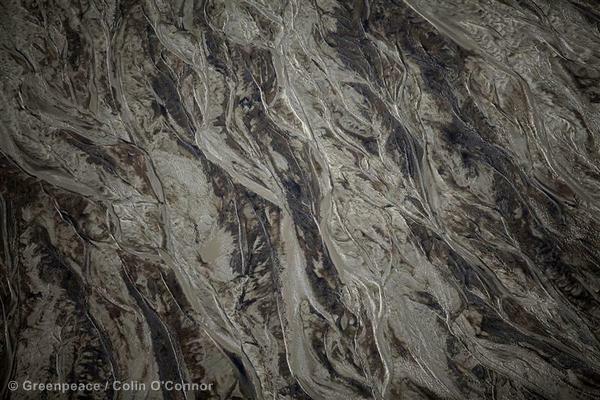 Americans risk environmental catastrophe while gaining…next to nothing. The pressure from industry has been considerable. With well-funded publicity campaigns promoting “energy independence,” it’s not so surprising that in March 2012, President Obama signed an executive order expediting infrastructure permits that will fast-track oil and gas pipeline projects. One of the loudest arguments for Keystone XL approval is job creation—a projected 20,000 construction and manufacturing jobs, according to TransCanada. But the Cornell Global Labor Institute examined their data and came up with a far lower estimate: somewhere between 2,500 and 4,650 temporary, direct jobs would come from pipeline construction over a two-year period. In fact, the U.S. State Department estimates that the six states along the pipeline route will gain a total of just 20 permanent pipeline operation jobs. Meanwhile, with 571,000 agricultural workers employed in those states, a spill that poisons farmland and ground water could mean a significant economic hit, not to mention the potential harm to the region’s substantial tourism industry (which in South Dakota alone brings in $865 million a year). If Obama is under pressure to hand the industry another fortune, imagine the pressure the Canadian leadership faces. Evidence of this was on display during a late September visit to New York City by Canada’s Conservative Prime Minister, Stephen Harper. In an unusually pugilistic stance for a Canadian, Harper declared that he “won’t take no for an answer” from his much larger neighbor to the south. “The logic behind this project is simply overwhelming,” he said. And he added (apparently drawing another bloated figure out of the north-of-the-border air), it “will create 40,000 jobs in the U.S.” His incentive to sell the project is clear enough: Canada’s share of U.S. crude oil imports rose to 38.7 percent in February, the highest in at least two decades, according to U.S. Energy Information Administration data. As Kuprewicz, the engineering consultant, notes: “We’re not going to get rid of oil and gas pipelines, so we need to operate them safely.” But the question remains: Is shipping more tar sands oil into the US the wisest choice? There are 26 comments Our Comment Policy: Keep it civilized, keep it relevant, keep it clear, keep it short. Please do not post links or promotional material. We reserve the right to edit and to delete comments where necessary.